With busy schedules, it is often hard to find a quick, on the go breakfast that satisfies everyone, but that you can feel good about also. Keeping these Breakfast Grilled Cheese Sandwiches handy will fit the bill! 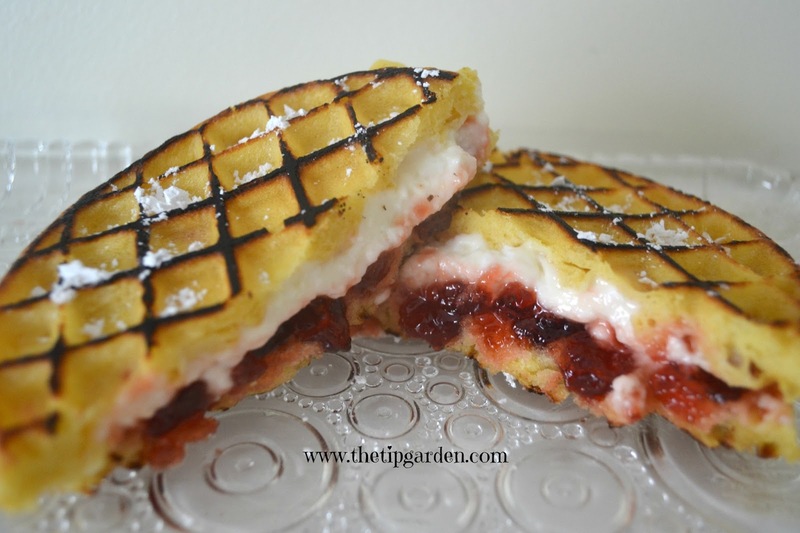 Waffles stuffed with a high protein- double cheese combo and some lightly sweet jam are pre-made and then lightly browned in a skillet. In just moments you can have your loved ones dashing out the door with breakfast in hand. I originally found the recipe at www.fabulouslyfrugal.com. What I love is the flexibility you have in either using the premade store bought waffles or making your own whole grain, or multigrain waffles. Making a large batch of whole wheat waffles for this freezer meal can be easily done the next time you are making waffles for your family, double the batch and cook up some extra. You can store them in the freezer if you are not ready to make these grilled cheese sandwiches and then just pull them out of the freezer when you are ready. You could easily substitute fresh sliced fruits for the jam if you'd like too! 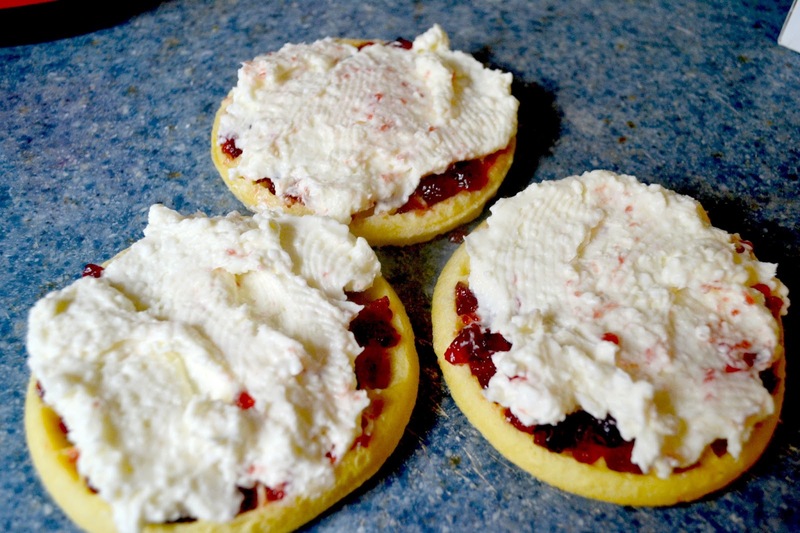 Mix together until well blended the cream cheese, cottage cheese and powdered sugar in a mixing bowl. 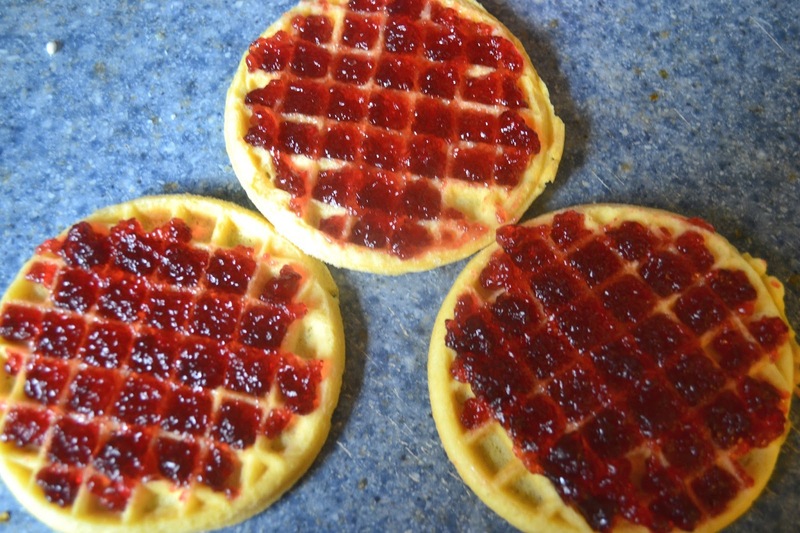 Spread 4 waffles with the jam. Spread the cheese mixture over the jam layer, dividing the cheese mixture evenly between the 4 waffles. 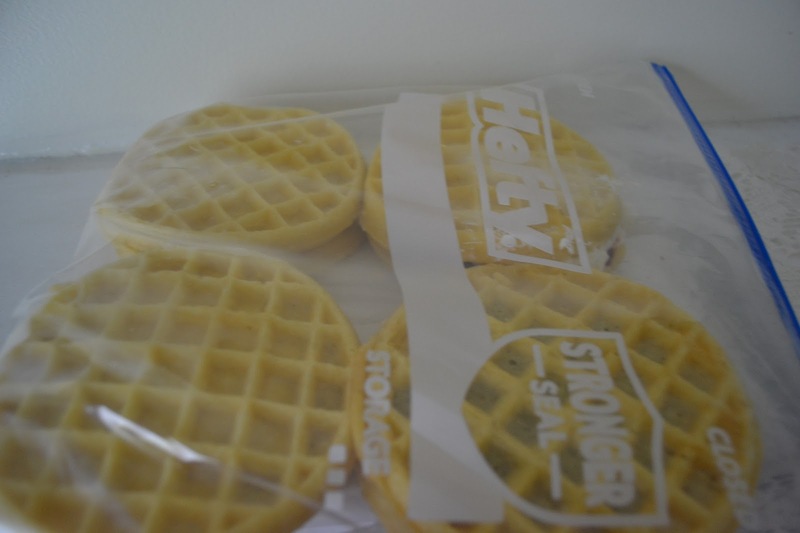 Cover with the remaining 4 waffles. To Freeze: Place sandwiches in an airtight freezer safe bag or container. Freeze up to about 2 months. Thaw sandwiches in the refrigerator overnight. Let sandwiches rest 1 minute before serving. Sprinkle sandwiches with a dash of powdered sugar if desired. I love this idea! They look so good!